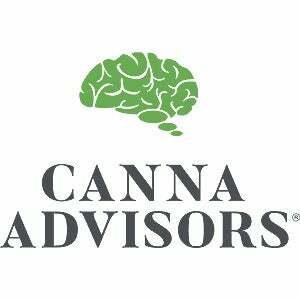 Helping new businesses launch and established businesses grow, Canna Advisors positions itself as an investing, advocacy, and mentoring partner in the cannabis industry. The firm helps cannabis entrepreneurs win licenses, optimize facility design, standardize operations, and maximize business development. Confusing "hockey-stick" growth with easy success is the biggest misconception in the cannabis industry. While the cannabis industry has become one of the fastest-growing business sectors in the U.S. in just a few short years, we’ve already seen some remarkable business failures. Even the savviest investors and entrepreneurs need a crash course as they enter the cannabis industry. No two markets are developing the same. Failing to properly plan for this complicated landscape could put a business into peril. Understanding these complexities and nuances helps business owners navigate smoothly in the business planning, execution, and capital infusion considerations. We are innovating by staying ahead of the dynamic change and growth in the industry. We also do this by helping our clients navigate and adapt their businesses from business planning through operational startup and exit strategies. One of the biggest hurdles in managing our rapidly growing business in a dynamic and emerging industry has been making strategic decisions about the right time to bring on new staff--to balance growth without over-extending with too much staff or losing out on out opportunities for new business because of lack of bandwidth. Advancing the cannabis industry and giving access to patients and adults who wish to use it is our favorite part of working in this industry. Growth of the industry improves quality of life for medical patients, reverses social injustices, and contributes to communities through job growth and tax revenues. We are inspired every day by helping our clients bring their vision to life and building the cannabis industry at the same time as entrepreneurs, investors, and advocates.